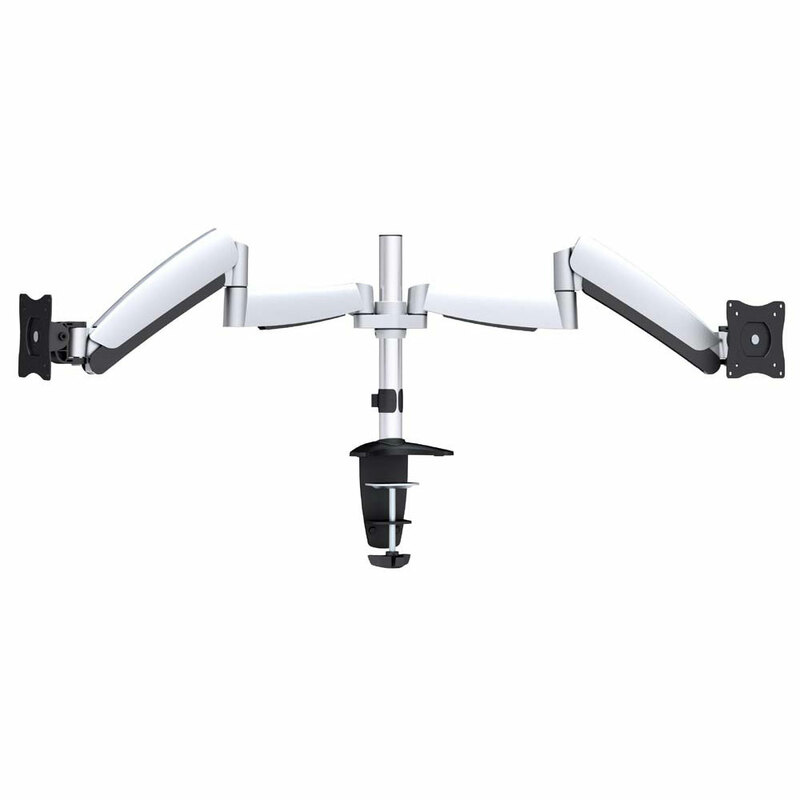 Constructed of solid steel and elegant die cast aluminum, this dual desktop monitor mount features innovative counterbalance technology. Features an integrated cable management system in the arms provide a clean look. The advanced VESA plate allows for touch screen applications. 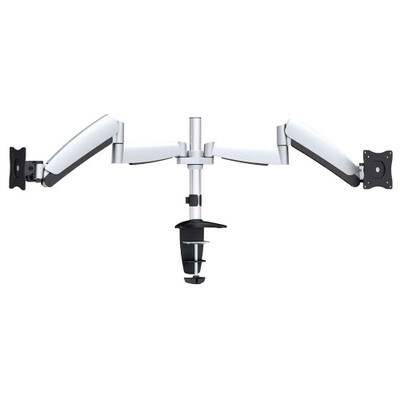 This pole-style mount easily and securely attaches to a desktop's edge or by drilling a hole through the desktop and using the clamp or grommet. Works with monitors from 13 to 27 inches.